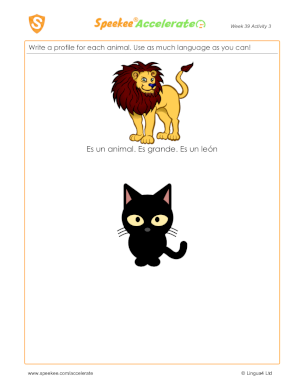 FREE Write a profile for each animal. 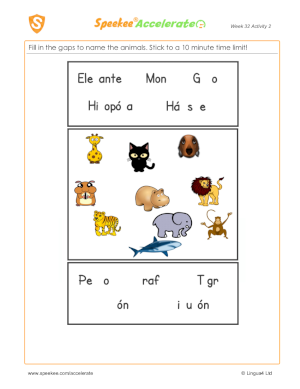 Use as much language as you can! 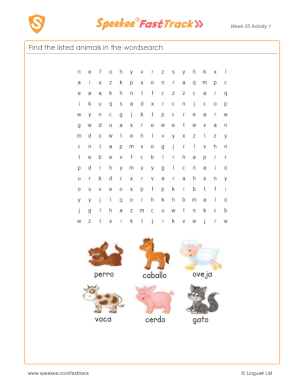 FREE Fill in the missing words to 'Old McDonald'. 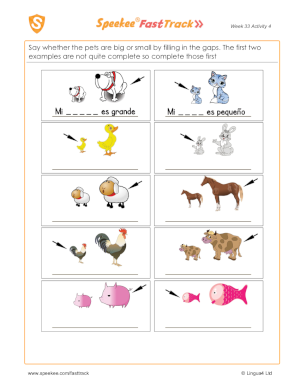 FREE Write whether you like or do not like each animal. 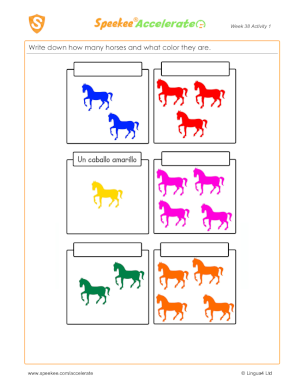 FREE Draw a quick sketch of each animal listed, making sure it's either big or small according to the instruction given. 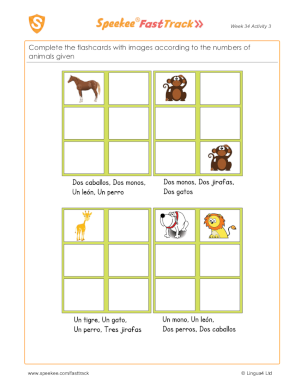 FREE Count the elephants and write in the spaces how many there are each time. 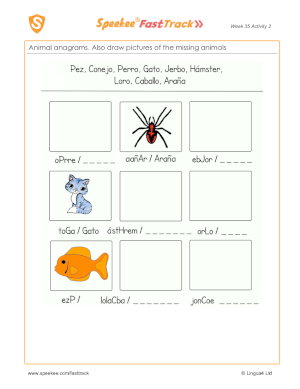 FREE Draw a line to match the Spanish and English animal names. 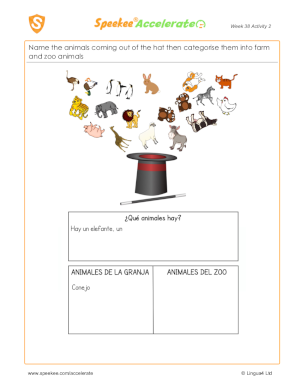 Draw each animal, and practise writing the Spanish words. FREE Help the elephant out of the maze. 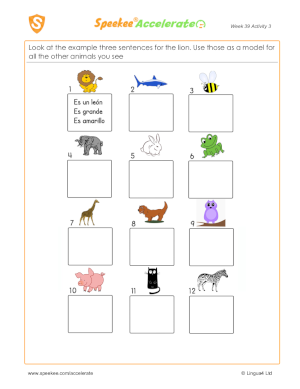 FREE Write the names of the animals, and add two more of your own.